Residential & Commercial Design, Inc. 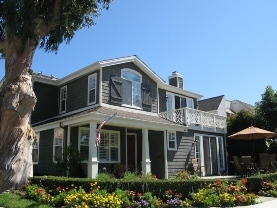 I am a residential and commercial building designer in the Newport Beach area with over 30 years of working experience in the architectural field. I formed R.A. Jeheber Residential & Commercial Design, Inc. on August 1st. 1989. In the past 28 years (where does the time go)?, R.A. Jeheber Residential & Commercial Design, Inc. have specialized in providing the finest in comprehensive, professional drafting and design services to its many clients. During this time, we have used our extensive knowledge and experience to expedite projects both large and small. From new home design to complete or partial residential remodels, R.A. Jeheber Residential & Commercial Design, Inc. possesses the necessary background to do a thorough and concise job. On a personal note, I am a single parent with two awesome daughters. Jasmine is 27 and she graduated from the Toni & Guy Hair Academy in Costa Mesa, and Chelsea is 30 and graduated from the University of Southern California in 2010 with a degree in Fine Arts. I look forward to meeting you, and helping you with the design of your new home, remodeling of your existing home and / or your commercial project.